We have seen just about everything come through our doors, from broken screens, computers covered in coffee, to computers that have been bent in half while traveling. We can help you get whatever is going on with your computer straightened out, and get you back up and running again. One thing we love to do is to keep thing simple, that is why we have a flat cost for computer repair. $75.00, plus the cost of parts. 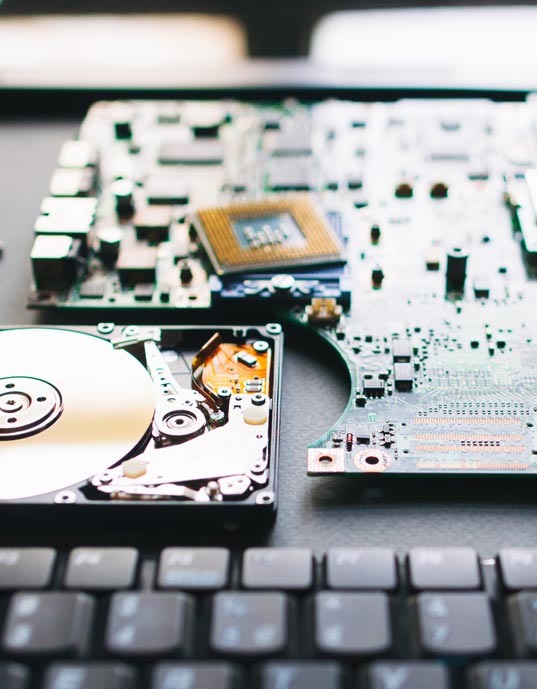 During the process of repairing your computer, we make sure to perform a full diagnostic on the computer just to make sure that when you get the computer back it is running as efficiently as possible. Average turn around time for most repairs is 72 hours from drop-off time. If you need your computer back faster, ask about our Rush Service!